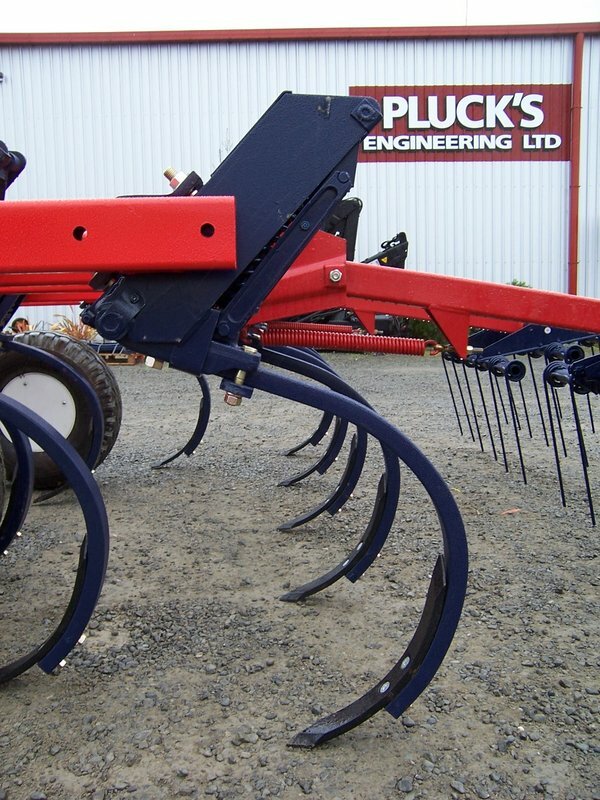 The Morris Industries Canada range of Heavy Duty cultivators are an outstanding range of cultivators. Morris Industries have manufacturing cultivation equipment since 1929 in Canada. The Concept 2000 is just one of the huge range of Cultivation and Seeding equipment Morris Ind manufacture. 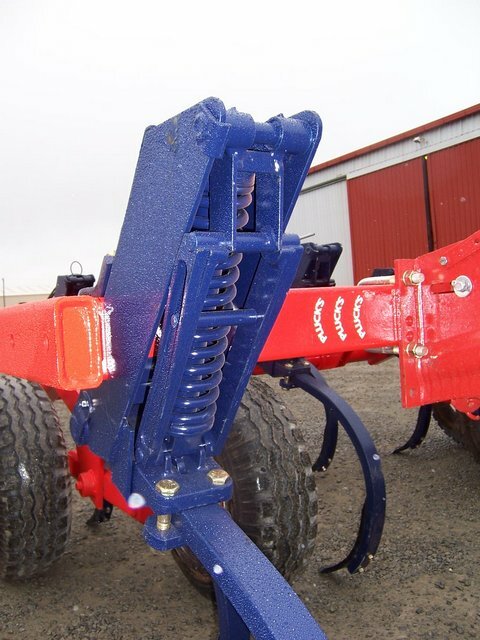 The Concept 2000 has a unique and patented frame coupling between the centre frame and the wing frames, this give fully independent movement between the frames of the cultivator that allows the concept 2000 to follow very accurately undulating ground. Where all other cultivators would be just skimming the top or even riding out and missing sections of your paddock altogether, the Concept 2000 stays right on the job with mm depth control accuracy over its total width. It has to be seen to be believed, there are no hydraulic systems to make this work just good solid linkages between the centre frame and the wing frames. Each section of the Concept 2000 is set up as a Trike with Three points of wheels in contact with the ground all the times, this ensures the individual frame can never travel with one wheel off the ground or one wheel forcing the points to ride/lift out. On the main frame the dual castor wheels at the front are centred between the walking beam axles inside the frame, this maintains the Tricycle suspension pointed out about early on. Similarly, the gauge wheel, walking beam axle and ball joints maintain the three point support on the wing frames.